Forty-five years ago, at 12:33 AM Eastern Time, the last manned moon flight took off from Cape Canaveral. It was a stunt from the get-go. Kennedy’s speech, setting a goal of landing a man on the moon and returning him safely to the Earth, was a Trump-worthy brag. If we had failed, it would be laughed at today as just another empty promise made by a politician. One man laid down the challenge and thousands of men and women carried out the promise. But it was still a stunt. When Kennedy made his speech on May 25, 1961, Russian had put a man into orbit. We had not, although we had managed a sub-orbital flight. Atlas boosters were still blowing up on launch, so a smaller Redstone was used for Alan Shepard’s flight on May fifth. NASA had only been in existence for three years. By any real or imagined yardstick, the Russians were far ahead in space. By herculean efforts, NASA forged ahead through Mercury and Gemini. The fire aboard “Apollo One” set American efforts back significantly, and when launches began again, it looked like the Russians were going to land on the moon first. There were Soviet problems however, particularly the repeated failure of their N-1 rocket. These doomed their attempt to reach the moon first, but NASA was not aware at the time. NASA had problems of its own. The lunar lander was not ready when Apollo 7, the first actual manned Apollo flight, left for low Earth orbit in October of 1968. Only a year remained on Kennedy’s timeline, and the Soviets — we thought — were poised to land on the moon ahead of us. Something had to be done. 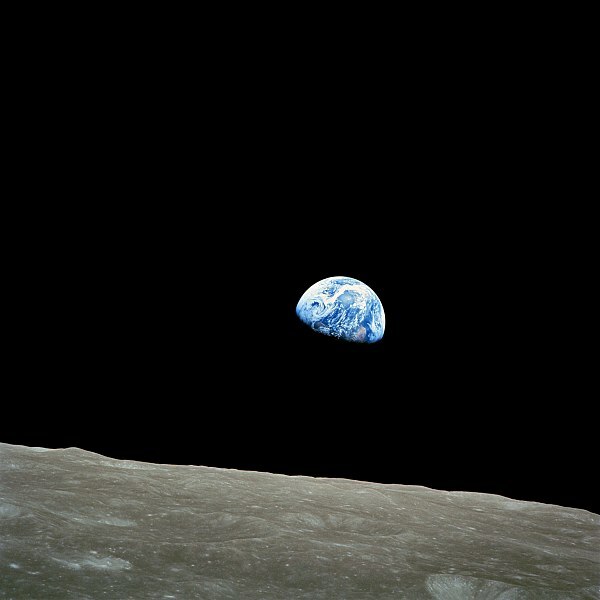 That something was the Apollo 8 journey to and around the moon, without a lander, for the Christmas season of 1968. We had been to the moon first (by an ad-man’s stretch of the truth), even if the Soviets became the first to land. Apollo 9 tested the lunar lander in low Earth orbit. Apollo 10 (the most frustrating almost in human history) returned to the moon, deployed the lunar lander, and flew it to within wishing distance of the moon without landing. Apollo 11 landed a man safely on the moon, and returned him safely to the Earth. For the Soviets, the answer was to turn away from the moon. Their N-1 mega-rocket had failed, and their manned modules and lander were stored away. The Soviets began a series of long flights and space stations, studying space from low Earth orbit. For NASA there were nine more Saturn V rockets waiting to launch Apollo 12 through 20. It didn’t turn out that way. Apollo 12 landed in a different part of the moon, Apollo 13 suffered and explosion, didn’t land, and barely made it home. Even before Apollo 13, Apollo 20 was cancelled so its Saturn V could be used to launch Skylab. Even before Apollo 14 landed, Apollo 18 and 19 were cancelled. Why? Because it was a stunt from the get-go. Apollo 11 met the deadline. To coin-counting bureaucrats, that was enough. For those of us who see space exploration as the future of humanity, Apollo 11 was only the beginning. Lunar exploration, a moon base, Mars. Venus — there should have been no end. Bureaucrats did not agree. On Thursday, 1972, at 12:33 AM Eastern Time, the last manned moon flight took off from Cape Canaveral. This entry was posted in A Writing Life and tagged forgotten heroes, history, politics, science, spaceflight, USSR, writing on December 7, 2017 by sydlogsdon. I taught middle school science for twenty-seven years, and always, whether I was supposed to or not, I taught the space program. I grew up with space travel, first in fiction, then in fact. I loved it, and the kids I taught loved it, too. How much of that rubbed off from me, I’ll never know. By the time I started teaching, the big show was over. 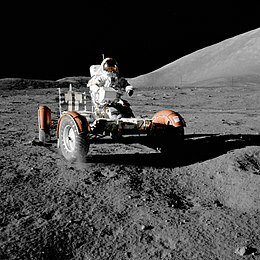 When Gene Cernan stepped back into his LEM in 1972, it was the high water mark of manned space exploration. It’s been downhill since. 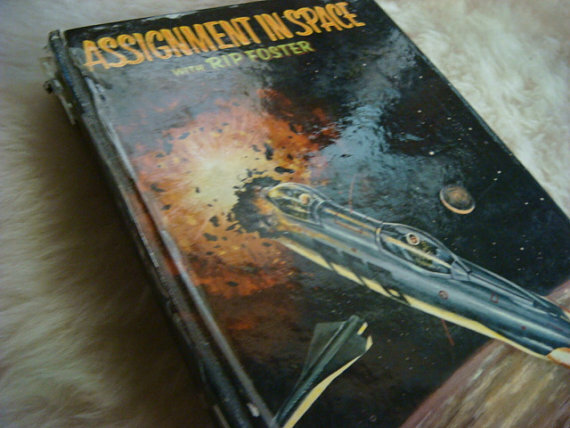 In the classic science fiction novel I had planned to serialize, Rip Foster is heading out toward the asteroid belt on the nuclear powered spacecraft Scorpius. That’s how we all thought the future would look. That’s how the future should have looked. Chemically powered rockets are simply not sufficient for exploring the solar system. We have have nuclear power plants for electricity, nuclear submarines, nuclear aircraft carriers, even a nuclear cargo ship. Why not nuclear spacecraft? Weight? Do you really think we couldn’t have overcome that problem? Maybe it was the danger, but . . . Here is a quiz for you. How many nuclear submarines are lying on the bottom of the ocean, tombs for sailors and ecological time bombs for the rest of us? Two from America and six from Russia. An additional Russian nuclear sub sank twice, but was raised both times. How many nuclear and thermonuclear bombs have gone missing? The U.S. admits to eight. How many more are hidden under the umbrella of security? Your guess is as good as mine. How many have the Soviet’s lost? You ask them, I’m keeping my head down. Did I mention Chernobyl and Fukushima? Let me put it another way. When the Soviets launched Sputnik and initiated the space race, then followed up with a man in orbit before we could even launch a sub-orbital flight, we did an end-around and went to the moon. If the Soviets had launched a nuclear powered space craft, we would have launched a nuclear powered space craft. Technology would not have stopped us. Fear of radiation would not have stopped us. That was then, this is now. 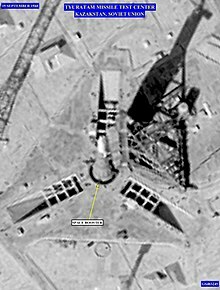 The best thing for manned space exploration today – though not for American interests or world peace – would be for the Chinese to launch a nuclear powered space craft. It wouldn’t even have to be a good one. Just the threat would be enough, and in a few decades ships like the Scorpius would be filling the solar system. This entry was posted in A Writing Life and tagged history, memoir, politics, spaceflight, teaching, USSR, writing on August 23, 2017 by sydlogsdon.